Every single person has moments in their life when they ask: “What If?” Self examination and reflection is an unavoidable part of life. These “What If'” moments often come with pivotal life decisions like where we choose to live, who we are friends with, and who fall in love with (or fall out of love with). As someone who has seen his life make several unexpected turns, the “What If” is a sensation I am acutely aware of as both painful and incredibly meaningful. Imagining, rewriting, or wondering about Link and his potential love interests is a common pastime for many devoted Zelda fans. In the Legend of Zelda series, there are several characters that could be potential companions or love interests for our young hero. These characters are brave, strong, clever, and funny, a combination that anyone would be happy to find in real life. 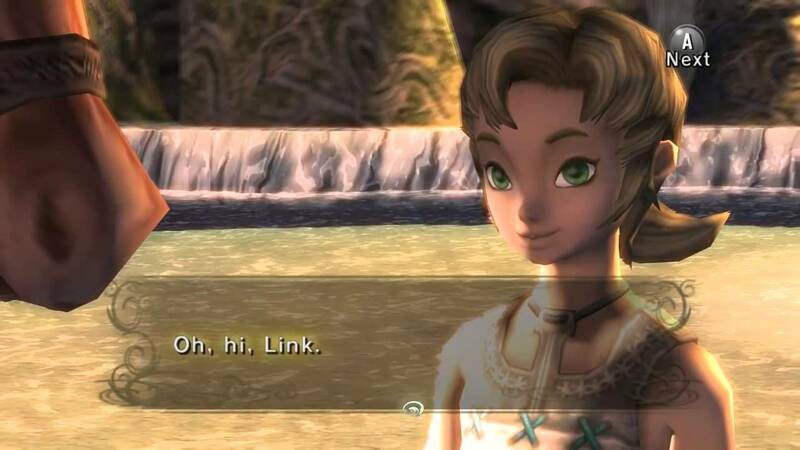 Yet despite all of these characters at my finger tips, the one I have always thought about most as a potential love interest for Link is Ilia from Twilight Princess. Ilia (the pride of Ordon Village) plays a pivotal role in the early hours of Twilight Princess, providing Link and the player with some of the most impactful moments in the entire narrative. 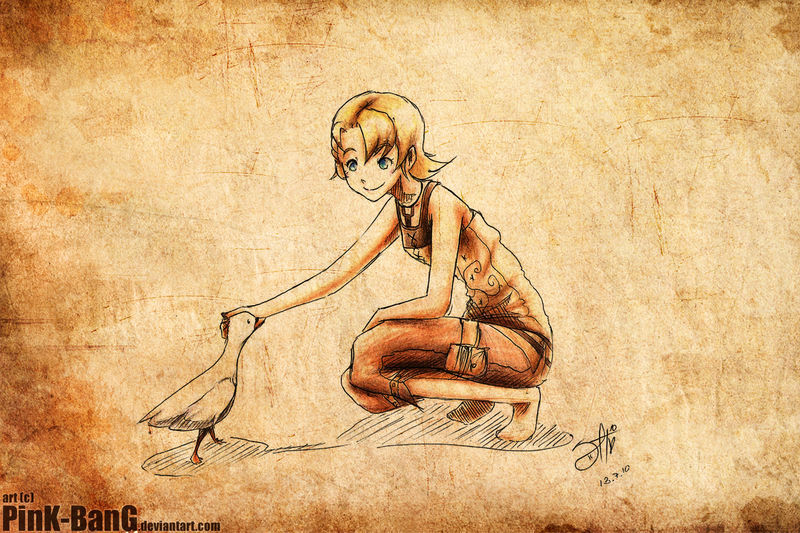 Additionally, the wonderful character represents many qualities of the tranquil village where she and Link grow up, including beauty and kindness. Due to these factors, as well as the potential of their future together, Ilia remains the one I want Link to be with. Ilia is one of my favorite female character in the Zelda universe. Since the moment I first encountered the character nearly a decade ago in my first play through of Twilight Princess, I have had an affection for the character that is difficult to explain. One of the thing I’ve always found most interesting about Ilia is her connection to nature. It’s an important characteristic that helps define the character. Ilia’s connection to nature can clearly be seen in her first appearance. 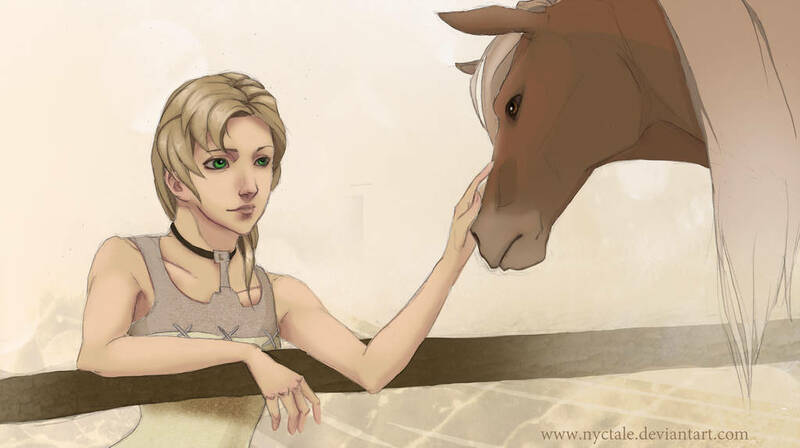 In this touching scene (highlighted by a beautiful cut scene), Ilia is seen reaching out towards Epona. This beautiful moment illustrates one of Ilia’s most important characteristics; Ilia is deeply connected to the world around her. She is always reaching out to be one with the people, places, and animals around her. Whether it is Epona, Link, or her father, Ilia is connected to the living world, dedicated to being a part of the world around her and enriching it in her own way. Additionally, Ilia illustrates a quality that is often terminally underrated: kindness. While Twilight Princess‘s incarnation of Zelda is serious and regal and Midna is sarcastic and witty, Ilia is kind. Early on, we see a kindness towards animals, as she cares about animals like Epona (much to the chagrin of Link and her father). She is isn’t afraid to communicate how she feels or what she believes is right. This kindness becomes a central aspect of her own own story, one that the player only gets to see second hand, one told to the player through other characters. Stranded without her memories, Ilia finds the exhausted and wounded Prince Ralis on the road. Without a thought, Ilia helps carry him to safety. It’s a simple act of kindness, one often forgotten in Link’s grand myth. Ilia does everything she can to help the vulnerable child despite the fact she cannot even remember who she is. Rather than worry about her own troubles, she selflessly works to alleviate the pain and danger that others face. Early in Twilight Princess, Ilia and the other children of Ordon Village are abducted. This tragedy casts a long shadow over much of Link’s early adventure, illustrating the importance of Link’s tranquil home. While the long tutorial in Ordon is often criticized for dragging the pace of the game down, the tutorial helps the player develop his or her relationship with Ilia and the children of Ordon. The slow moving early hours in Ordon village help build the foundation for some of the most meaningful relationships within the game, as well as contributing to the drama of epic moments later in the game. One key part of Link’s journey is bringing Ilia back to Ordon, which speaks to the importance of their relationship. Even as Link saves the children from the Twili and from King Bulbin in Kakariko Village, there is a lingering frustration at the fact that Ilia remains missing. It’s an event acknowledged by Colin as Link departs from the now tranquil village, as the young boy says: ““Ilia… You’ve got to save Ilia!”. These early moments cement the fact that Ilia is important to Link in a very special way. Link is often accused of being a blank slate, but in Twilight Princess there is emotion lurking under the surface of our young hero. This undercurrent of emotion is clearly seen when Link finally finds Ilia in Hyrule Castle Town. The player can see an incredible joy bloom on Link’s face as he sees his long-lost friend. He rushes forward, a smile spreading across his face. Then the smile fades as Link realizes that Ilia does not recognize him; our hero’s shoulders slump in disappointment. This disappointment and sadness last throughout the scene, illustrating the importance of Ilia within his life and his quest. Link’s feeling for Ilia push him to help her and Telma save Prince Ralis. In one of my favorite sequences, Link protects them on the way to Kakariko Village, completing the kindness that Ilia started. It’s a special moment where Link proves that a simple act of good can have as much meaningful influence as defeating a monster or solving a puzzle. It’s another moment that proves Link will do anything to help Ilia. At this point in the game, Nintendo puts Link and Ilia’s relationship on hold, much to the disservice of the character. Much of the later quest becomes focused on Midna and Zelda, despite the emotional connection that the early hours have worked to create. When the game returns to Link and Ilia’s relationship, it shows another sequence where Link does his best to help his friend. Link battles through the Hidden Village for a chance to help recover Ilia’s memories. The player can even see the joy Link feels when Ilia finally regains her lost memories. There is a call back to their early moments at the Ordon spring. It’s a beautiful moment that illustrates how far both characters have gone, the miles they have traveled since those early moments. Ilia and Link have battled a variety of hardships that have kept them apart, yet at the end of it all, they have found a way to help each other. Ilia is a curious character in Twilight Princess‘ overstuffed (but excellent) narrative. Initially, she plays a key role, but as the story continues (especially in its final dungeons), the story seems to shift away from the hero’s relationship with the village girl. But despite the shift in focus from Ilia to characters like Midna and Zelda, Ilia herself leaves Link with a clear message: “Whenever you return… I’ll be waiting for you.” Ilia cares about Link in a very deep way and clearly she believes that Link feels the same way for her. There is a mutual affection and a connection that potentially offers both character a life of peace and happiness. Ilia’s promise leaves the door open for their future. I’ve always imagined Link and Ilia enjoying a wonderful and blissful life together in quiet Ordon Village. Though Link is currently serving in the selfless, often painful, role of a hero, he doesn’t always have to be. And based on his life before the events of Twilight Princess, there’s no reason to believe that it is necessarily what he wants from life. If Link returned to Ordon, Link could live a simple life as a goat herder, farmer, or even mayor of Ordon. Link and Ilia could enjoy the bliss of young love, the more complex love of a long term relationship, and even (eventually) parenthood. The story of Link and Ilia is left open for the real possibility of true happiness for Link, with a companion that clearly cares for him deeply. What more could Link want? In the final moments of the credits, Link and Epona ride off into the distance with Ilia watching them go. Where is he going? Will he return? These are questions that may never be answered. But I believe that one day, Link will ride back into the village and Ilia will be there waiting for him. It’s a great love story that is waiting to be written. Get on it Nintendo! Sean Gadus is an Associate Editor at Zelda Dungeon. He loves playing video games, reading books, watching movies and creating music mixes. His new favorite album is the Gris Soundtrack by Berlinist. When he isn’t geeking out about all things Zelda, Star Wars, Batman, and Magic The Gathering, he is a middle school History and Language Arts teacher.